With up to 6 weeks of fresh and funky colour, you don't have to commit to a long term colour change! With a precision tip nozzle and easy squeeze bottle, there's minimal fuss or mess when you use this dye! With a bold and vibrant result under normal lighting conditions, this dye will also glow brightly under ultraviolet and black lighting! If you think you're ready for a new look, you should definitely take a look at the Stargazer Semi-Permanent UV Hair Dye in Red. Who needs normal anyways? With one application delivering bold colour for up to 6 weeks, this dye is great for anyone who wants maximum results with a minimal amount of effort! Plus, this hair dye conditions as it colours, meaning your hair should feel healthy, silky and smooth after use. 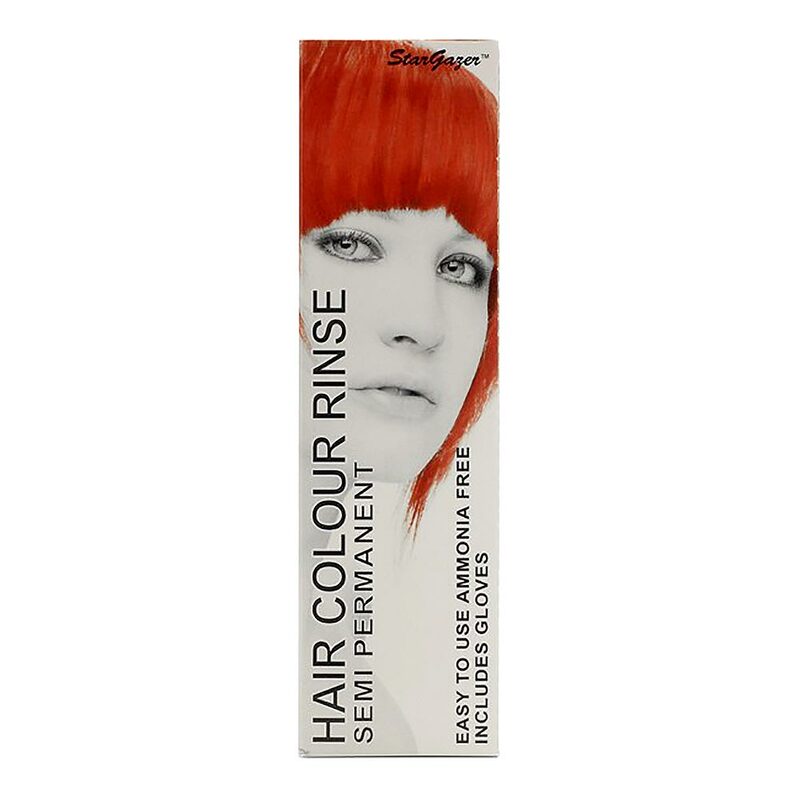 With a peroxide and ammonia free formulation, this dye is gentle on your hair. Your brand new look is new a click away - take the plunge on the Stargazer Semi-Permanent UV Hair Dye in Red now! Please Note: Hair dye results may vary depending on your hair type, base colour and hair porosity. Best results can be achieved on pre-lightened hair. This dye is not suitable for use on hair with more than 10% grey coverage. Ensure you read and follow the instructions included when using this product.